Disclaimer: I received a free review copy of this book at ALA Annual 2014. All quotes are based on an uncorrected text. Matt and Daniel have been together for four years, living a quiet life in gay-friendly Northampton, Massachusetts. Though Matt is a former party boy, and Daniel is a Jewish intellectual, they are happy together despite their differences. When Daniel’s twin brother and sister-in-law are killed by a suicide bomber at a café in Jerusalem, Daniel is called on to fulfill a promise he made to Joel and Ilana; not just to care for their children if anything were to happen to them, but to get Gal and Noam out of Israel. The will shocks both sets of grandparents, each of whom assumes they will be the ones to raise the children. The tragedy forces Daniel to confront his complicated feelings about being a twin, particularly the gay twin, and his difficult relationship with his Jewish heritage and the nation of Israel, even as he battles his way through the Israeli court system to have his guardianship approved. Meanwhile, Matt finds himself thrown into instant parenthood in a family that has never entirely accepted his role as Daniel’s partner. Matt tries to be a rock for the family, but as grief transforms his partner into a shadow of the man Matt fell in love with, their relationship is sorely tested by the fallout of the bombing. The aunt or uncle who never wanted kids being forced into parenthood by a sibling’s death is an old cliché that would make All I Love and Know easy to pass over without a second glance. I almost did, before a blurb by Alison Bechdel on the back of the galley caught my eye. More often than not, these narratives centre on the protagonist realizing that their life was empty and meaningless without the joy of children. All I Love and Know is never so simplistic, and the changes that Gal and Noam bring into Matt and Daniel’s home are tinged by the darkness of the circumstances that brought them there. There are very moving, realistic moments in which Daniel and Matt mourn their freedom, and the life they gave up to raise Joel and Ilana’s children. This story is as much about grief as about parenthood, and is the way these two themes weave themselves together that make All I Love and Know an exceptional novel. Either gay parenting or the Palestinian/Israeli conflict would provide ample material for a novel, but together the result is explosive. Frank deals candidly with complex issues, choosing to directly address Matt and Daniel’s sexually open relationship in defiance of straight sensibilities, and the mixed feelings many American Jews have about the nation of Israel. Of Jewish descent herself, Frank writes with familiarity about Israel and the conflicts that surround it, but most of her characters are deeply sympathetic to the plight of the Palestinian people. Daniel finds it difficult to grieve properly for his brother because he understands why the Palestinian bomber would feel compelled to act, but publicly expressing this sentiment within the Jewish community is taboo. For the non-Jewish audience, Matt is the window into this unfamiliar world. Although partnered with a Jewish man, he has never converted, and while Daniel’s family is not particularly religious, Matt is, in many ways, an outsider looking in. He copes with this sense of exclusion and alienation through a dark, snarky sense of humour that sometimes alleviates the tension, and sometimes serves to drive him and Daniel further apart. 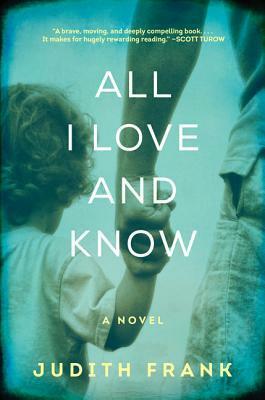 All I Love and Know is a complex and challenging novel that deals with not one but two important contemporary issues, wrapped in a love story about a couple struggling to find their way back to one another after a devastating loss. 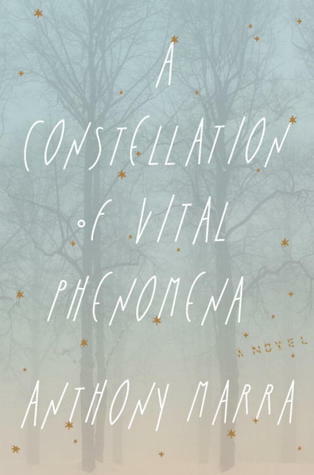 You might also like A Constellation of Vital Phenomena by Anthony Marra.